CarGurus has 2,116 nationwide A7 listings starting at $13,991. You could call 2014 the Year of the Diesel at Audi, as the German automaker makes a big push for fuel efficiency by introducing a number of new diesel-powered vehicles for the North American market. The A7 line of 5-door luxury coupes gets a new TDI diesel-powered trim for 2014, and new diesel powerplants are also showing up this year under the hoods of the A6 and A8 sedans, as well as the Q5 and Q7 crossover SUVs. Posting fuel economy numbers of up to 38 mpg, those new diesel-powered trims help give Audi a leg up over its competition, since the automaker now offers a wide range of vehicles delivering sporty handling, luxury-oriented cabins and snappy styling, as well as impressive fuel economy. For 2014, Audi does away with the entry-level A7 Premium trims. The A7 lineup now consists of the 3.0T Quattro trims at Premium Plus and Prestige levels, as well as the new 3.0 TDI Quattro 5-door coupe, also available at Premium Plus and Prestige levels. In other updates for 2014, Audi makes all 3.0T and 3.0 TDI trims 5-passenger vehicles, as opposed to the 4-passenger configuration of previous years, and introduces a new optional Black Optic package for all A7 trims. The package adds a number of upgraded exterior features, including a black optic grille and high-gloss surrounds on the grille and windows, as well as 20-inch wheels with a titanium finish. In addition, Audi adds a new corner-view camera to its optional Driver Assistance Plus package. Now in its third year of production, the A7 joins a growing field of 4-door luxury-oriented vehicles with coupe-like exterior lines. Audi built the A7 on the A6 sedan's platform but gave it a redesigned roofline that tapers dramatically at the rear and includes a rear power-operated tailgate, leading to the 5-door coupe designation. The power tailgate adds flexibility and functionality, but the tapering roofline also intrudes on rear-seat headroom and can limit visibility out the back at times. Automatic HID headlights with LED daytime running lights come standard on the A7, along with Audi's signature Singleframe grille, heated windshield washer nozzles, LED taillights, rear foglights, an adaptive rear spoiler and dual exhaust pipes. Aluminum trim around the windows adds a sporty feel, while the heated power side mirrors include memory settings and integrated LED turn signals. An S-line exterior package on Prestige trims adds Brilliant Black exterior moldings and trim, a black rear diffuser and 19-inch wheels with a titanium finish. Audi calls the new diesel-powered A7 3.0 TDI 5-door coupe the first vehicle of its kind in North America. 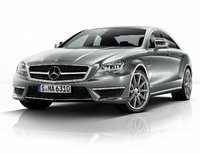 The 3.0-liter 6-cylinder turbocharged clean diesel engine delivers 240 hp and puts out 428 lb-ft of torque. As a result of all that torque, the 3.0 TDI zips from 0-60 in just 5.5 seconds. At the same time, the diesel engine achieves class-leading fuel economy numbers of 24 mpg city/38 highway. Audi pairs the diesel engine with an 8-speed Tiptronic automatic, which features driver-selectable Sport and manual-shift modes. The automaker's Quattro all-wheel-drive (AWD) system, which comes standard, helps ensure sporty handling and optimal road grip. A 3.0-liter supercharged TFSI V6 powerplant with direct injection continues to power the A7 3.0 Quattro trims. It generates 310 hp and 325 lb-ft of torque, and also mates to the 8-speed Tiptronic transmission. The V6 pushes the 3.0 trims from 0-60 in 5.4 seconds and manages fuel economy numbers of 18/28. All A7 trims come equipped with a start/stop system, which shuts off the engine when the driver steps on the brake pedal and instantly starts the engine again when the driver releases the pedal, helping to improve fuel efficiency. Audi limits top speed for all A7 trims to 130 mph. Like the Audi A4, A5 and A6, the luxury-oriented A7 delivers a good balance of performance, handling, luxury and comfort, as well as fuel efficiency, thanks to the new 3.0 TDI. This balanced approach helps the A7 compete in a small but growing field of similar 4- and 5-door coupes like the Mercedes-Benz CLS-Class, the Porsche Panamera and the new BMW 6 Series Gran Coupe. Testers say the A7 handles well, with strong acceleration, smooth shifts and nimble handling in corners. It rides on a well-tuned suspension designed to smooth out rough road surfaces while ensuring minimal body lean in tight corners. Like the A5 and A6, the A7 gets a 5-link suspension in the front and a trapezoidal-link setup in the rear. Owners can add an optional sport suspension on all trims. An electromechanical power steering system with Servotronic speed-sensitive capability provides good precision and response, but has a light feel at times, testers say. All A7 trims ride on 19-inch wheels with a 10-spoke design. Audi also offers a number of 19- and 20-inch wheel upgrades. Adding to its versatility and functionality, the A7 offers an expansive 24.5 cubic feet of storage space in the trunk, and the folding rear seatbacks include a pass-through for longer items. Beyond the trunk, the A7 exudes comfort and style, with careful attention throughout the cabin. Passengers will find plenty of legroom in both the front and back, although rear-seat headroom will be tight for taller occupants. However, all seats are supportive and comfortable, with leather upholstery, as well as 8-way power-adjustable heated front seats and a 4-way power lumbar support for the driver. All Premium Plus trims come well-equipped with such upscale features as a power sunroof, a leather-wrapped 4-spoke multifunction steering wheel, 3-zone automatic climate control, keyless start and decorative aluminum inlays. Audi also includes its MMI navigation system with a 7-inch color display and Audi's Connect system, which provides in-vehicle wi-fi and localized weather and information. The navigation system and color display also integrate with a 10-speaker, 180-watt audio system with a CD player, SiriusXM satellite radio, Bluetooth, an iPod port and speed-dependent volume. The Prestige trims add such features as perforated leather upholstery, 12-way power-adjustable heated and ventilated front seats, 4-zone automatic climate control, power door closers and a 14-speaker, 630-watt Bose audio system with AutoPilot noise compensation. The 2014 Prestige trim comes standard with a Audi's new Side Assist system, which monitors blind-spot areas and alerts drivers of approaching vehicles. It joins such safety features as 8 standard airbags, including knee and thorax side airbags, as well as electronic stability control, traction control and antilock brakes with electronic brakeforce distribution and brake assist. Audi's optional Driver Assistance Plus package now includes a corner-view camera as well as a top-view camera, adaptive cruise control and Audi's Pre Sense Plus system, which detects rear-end collisions and closes windows and the sunroof in the event of an impending accident to minimize damage. What's your take on the 2014 Audi A7? 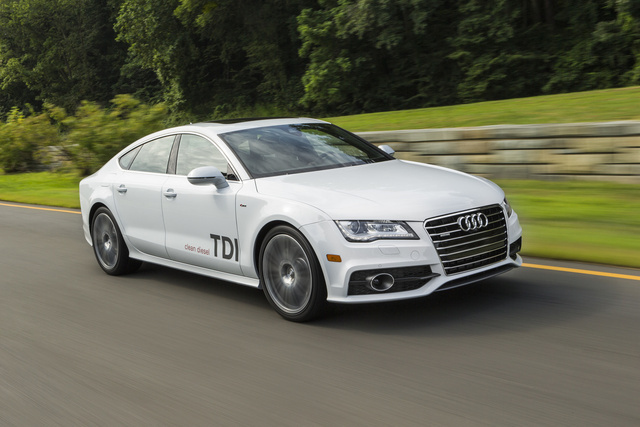 Users ranked 2014 Audi A7 against other cars which they drove/owned. Each ranking was based on 9 categories. Here is the summary of top rankings. 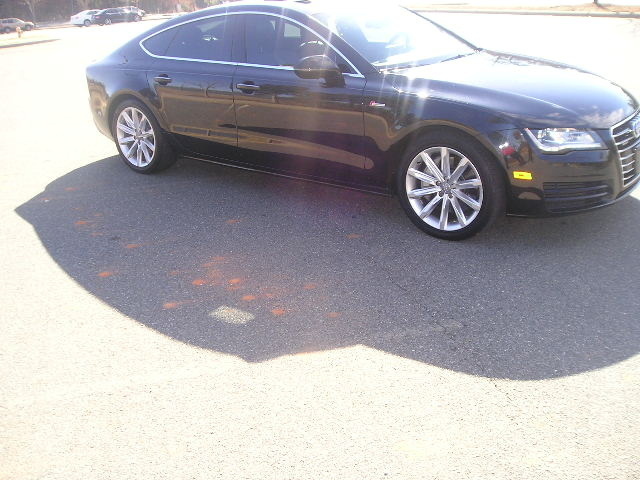 Have you driven a 2014 Audi A7? Anyone Notice That Some Dealers Are Gaming The Carguru Ranking System?